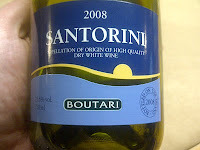 On a recommendation, I tried Boutari Santorini ‘08 from Greece. Before I get into that I realize wine from Greece is not very main-stream. Why is that? It’s enjoyable and affordable! Yet you tend to find these wines standing up in a forgotten corner almost collecting dust at some big box liquor stores. Perhaps the reason is the grape names are difficult to pronounce. I mean, who wants to be embarrassed when trying to order a glass of Greek wine? Well I would rather mispronounce a wine and be educated than not experience a new grape! 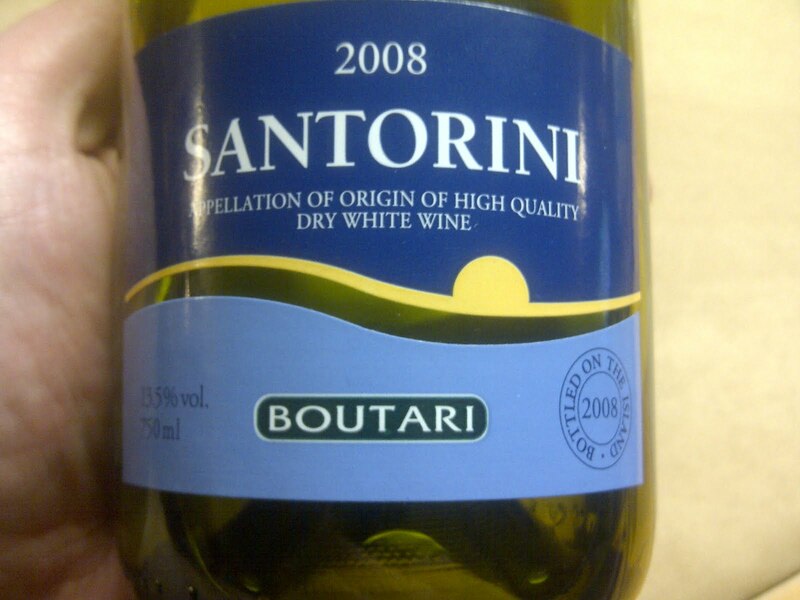 Santorini is made from the Assyrtiko grape, indigenent to Santorini (one of the Greek islands). This is widely planted in the arid volcanic-ash rich soil. On the nose a big juicy pear hit me with some nice light citrus. As it opened up I noticed some chalky minerality. But on the palate was some sweet lemon teamed up with a delicious richness and balanced acidity. This had such a good velvety mouth feel playing with my taste buds. The finish was long with floral accents. I kept going back for another taste! It would be a crime to let this bottle (and other Greek wine) collect dust! Grab a bottle for under $20 and tell me what you think!